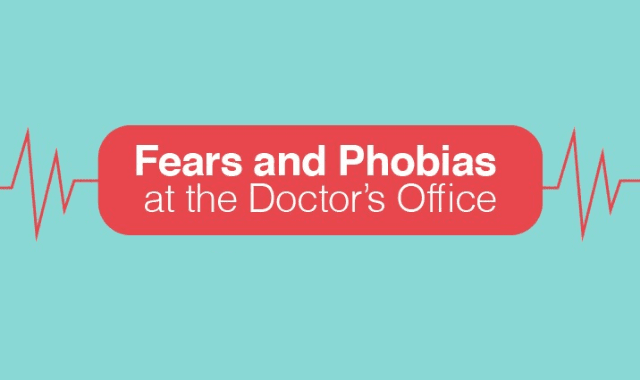 Fears And Phobias At The Doctor's Office #Infographic ~ Visualistan '+g+"
It’s not abnormal for children to fear visits to the doctor’s office. Despite many pediatricians’ best efforts to make their offices fun and inviting, kids know that scary things happen there. They go to the doctor when they don’t feel well, and sometimes kids have to get shots or undergo other unpleasant tests and procedures. So what’s a parent to do? Although it is natural for kids to have some fear, there are a lot of ways you can help your child get through the visit. Read on to learn how to recognize and manage your child’s fear of doctor visits.